Jürgen Klopp is optimistic on Roberto Firmino and Trent Alexander-Arnold's chances of being ready for Liverpool's opening Premier League game of the season against West Ham United on August 12. The duo returned to pre-season training this week having joined their teammates at the Reds’ camp in Evian following World Cup duty with Brazil and England respectively. They’re likely to play some part in the pre-season friendly with Napoli in Dublin on Saturday and Klopp feels they have enough time to get themselves in condition to be involved when the campaign gets under way versus the Hammers. 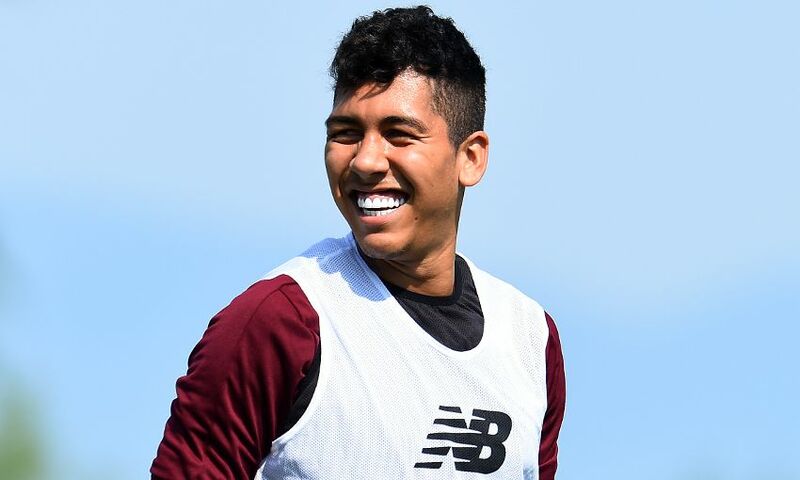 Asked specifically about Firmino, the manager told Liverpoolfc.com with a trademark grin: “He changed something with his hair, I am not 100 per cent sure what. I think now it’s black? And I didn’t see it, but I heard during his holiday it was silver – but that’s the only difference. “All the rest is like it was when he left. It’s good to have him here, he looks in good shape, and if possible we will see [if he can play against Napoli]. Training for the outfield players is obviously different than for the goalies, but we want to see him as well against Napoli. We will see for how long. “When we start against West Ham, he will have had then two weeks after three weeks off, it should be possible but we will see until then. “In the moment he looks good, his programme is obviously pretty different. He is part of most of the sessions when the boys do something different that is not the highest intensity, so then he needs to do a little bit more, like Trent will do now. Alexander-Arnold’s return is almost one week earlier than scheduled, with the full-back eager to re-join his colleagues and begin preparations for the season. “It was not [possible] to stop [him coming back], but then without physical power it wouldn’t have been possible to keep Hendo away either,” Klopp joked. “But Hendo is in a different situation and played much more games, played more in the World Cup and all that stuff. He is not old, but he is older than Trent, so I think it makes absolute sense he has the full three weeks and Trent has had two weeks and two days. Alexander-Arnold could barely contain his happiness at seeing his teammates again, and meeting his new colleagues, at the team hotel in France. Such delight and enthusiasm is shared by the manager, who sees a player’s return to the fold as something of a mini family reunion. Klopp added: “It’s always like this – you want to have the boys all together and all around. In Trent’s case, it looks like he is still growing. You see him after five weeks and it’s like, ‘something is different…’ – maybe here a muscle or there a muscle. That’s pretty interesting, but it’s exactly like that [a family reunion].